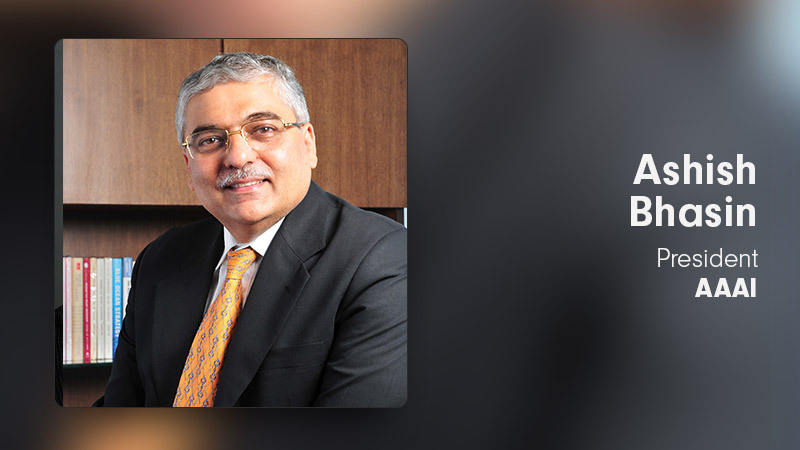 Advertising Agencies Association of India (AAAI) appointed Ashish Bhasin as the president. He is the Chairman and CEO, South Asia of Dentsu Aegis Network Media India Pvt. Ltd. The decision was taken at the Annual General Body Meeting. Ashish Bhasin, Chairman & CEO South Asia, Dentsu Aegis Network Media India Pvt Ltd has been elected as the President of Advertising Agencies Association of India (AAAI) for the year 2018-2019 at its Annual General Body Meeting held today. Anupriya Acharya, CEO, Publicis Media India, was elected Vice-President of the Association. Immediate Past President, Mr Nakul Chopra will be the ex-officio member of the new AAAI Executive Committee.